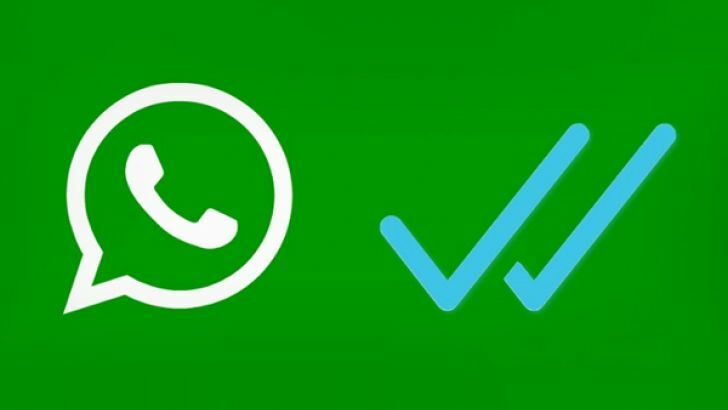 WhatsApp Ticks - What Do the Double Tick & Single Tick Mean? 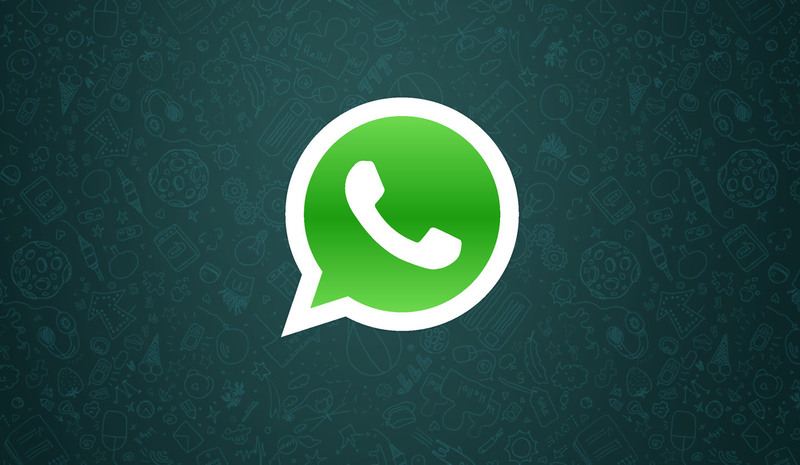 Have you started using WhatsApp recently? 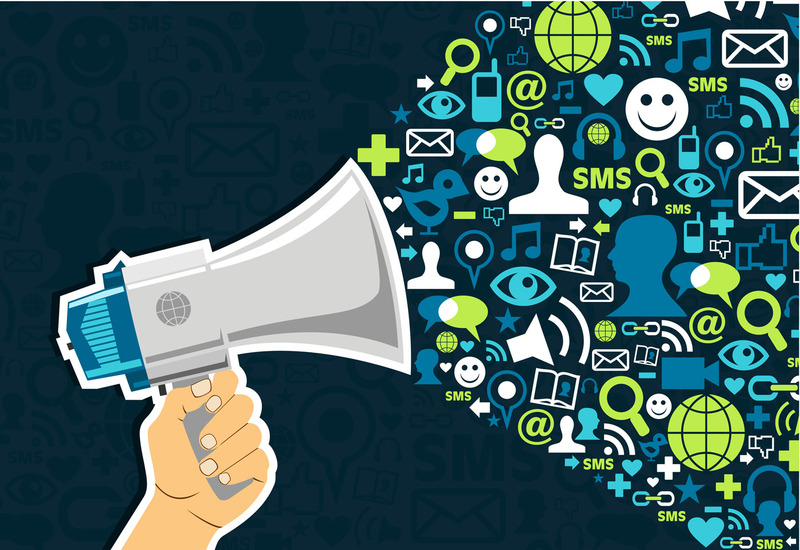 Have you sent your first message? If yes, I’m sure you must’ve noticed one or two WhatsApp ticks we are talking about here. Did you? Do you know what those ticks stand for? Let me tell you. When Do I See One Tick? When you send a message and if it leaves your mobile i.e. if your internet connection is working properly, the message gets uploaded to the WhatsApp server. When a message successfully leaves your mobile, you see one tick. This doesn’t mean that the message was delivered nor does it mean that the message was seen by the receiver. 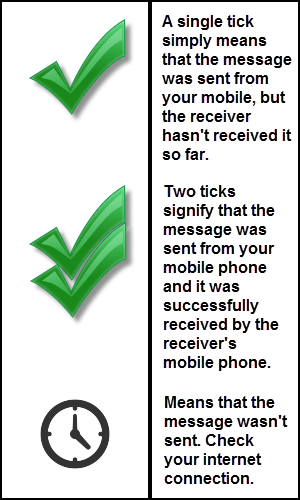 A single tick simply means that the message was sent from your mobile, but the receiver hasn’t received it so far. When Do I See Two Ticks? When the message is delivered to the receiver’s phone, you receive another tick. This doesn’t mean that the receiver has read your message. The second tick is just to say that the message was delivered to the receiver’s device and he may read it anytime soon. You can confirm that the receiver has read the message only by judging the receiver’s last seen time. If you receive both the ticks and if the receiver’s last seen time is after you’ve sent the message, it means that he has read your message. This may not be true always due to some bugs which’ve been there in WhatsApp since it was launched, but usually it is true! Two ticks signify that the message was sent from your mobile phone and it was successfully received by the receiver‘s mobile phone. When Do I See No Ticks But a Clock Icon? When you try sending a message, but it doesn’t leave your mobile i.e. it doesn’t get sent, you see a clock icon. When this happens you need to check your internet connection if it’s still working. 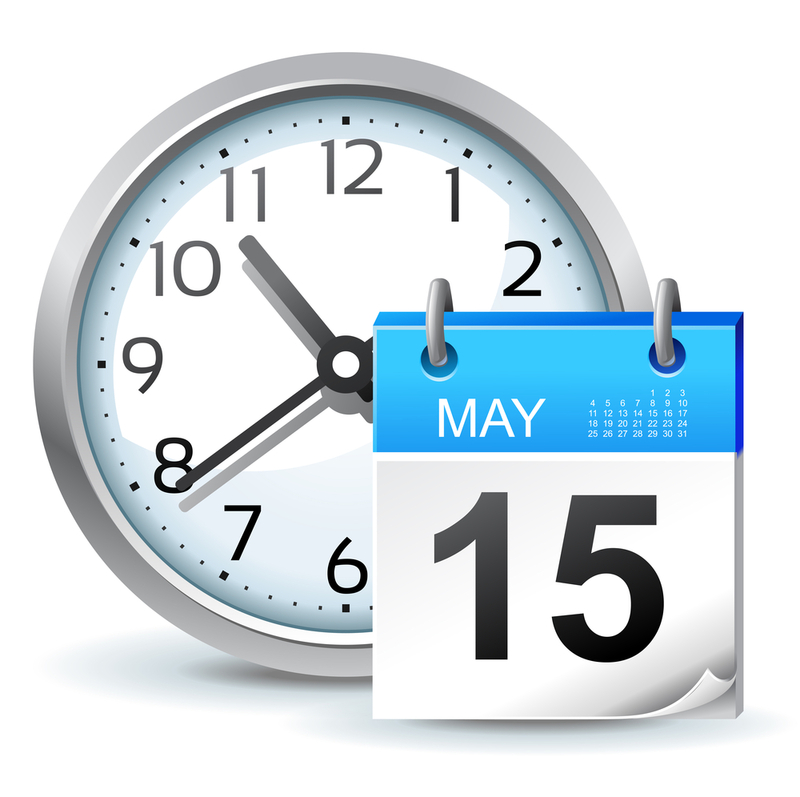 The clock icon denotes that the message has been scheduled and will be sent once internet is turned on. 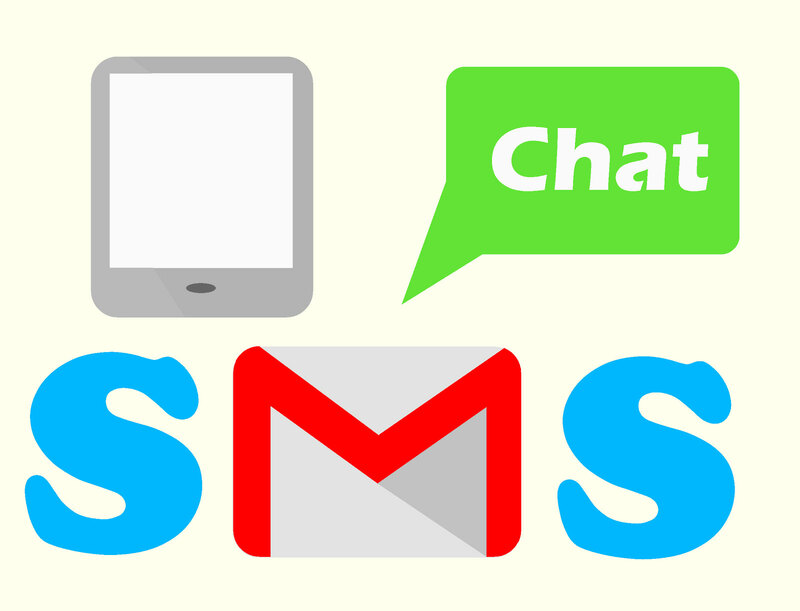 No ticks denote that there’s some problem with your internet connection which needs to be addressed ASAP to avoid delay in sending and receiving messages. If images explain you better, here’s a graphical representation of whatever I’ve said above. I have been experiencing this single tick problem fr all my whatsapp contacts . please help me to get rid of this problem.Any solution will be appericiated!! Do you mean, you get only a single tick when you send someone a message? There could be two reasons. 1. Either the person has blocked you (if you don’t see that person’s last seen time to whom you sent the message but you can see others last seen then you’re blocked or the person is hiding his last seen(rare)). In this case you will only see one tick. 2. If you can see the person’s last seen time then the only reason is that the person hasn’t turned on internet connection on his mobile phone and that’s why your messages are being sent but he is not getting them. Hey, I need help on whatsapp. You see, when I send a message to my friend on whatsapp it only shows one tick and I can see her last seen. 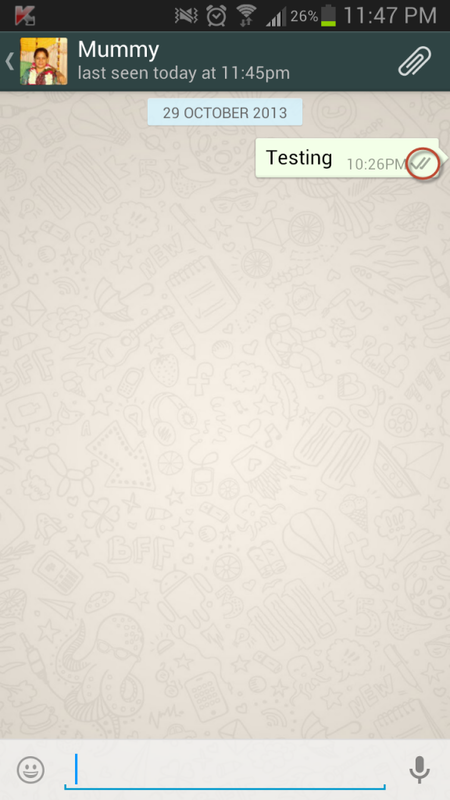 When I tried send message to other person on my whatsapp, it shows double click and last seen. The problem is, she said she never recevied message from me and she had always on her mobile data. And the other problem is, I cant seem to received her messages. Has she or you blocked the other one? By mistake? 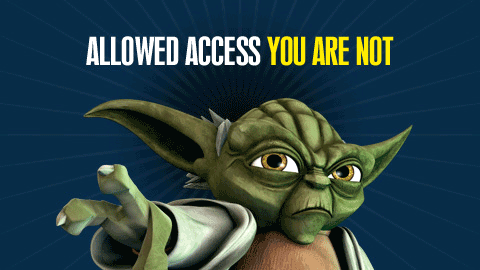 You are not blocked… probably! There’s a bug with WhatsApp I guess. Sometimes I see only one tick even when the other person is online and has received / read my message. I sent a message to someone then I blocked him immediately, and only one green tick appeared. Does that mean that the person received my message or read it? Or I must have waited for the second tick before blocking to make sure that the message was delivered or received? Next time you want to block a person, send him a message -> wait for both the WhatsApp tick s to appear and then block him. If I send a message then block immediately will the other person still receive the message? Wait before you see two ticks and then block the person. Hey when I switch my phone and restart it my whatsapp sometimes give slot of trouble to connect. Sometimes it never connects and I have to start my phone all over again. Help anyone? I don’t think that’s a problem with WhatsApp. I guess your internet connection faces some problems. Which phone do you use anyway? Hi! It says on the whatsapp icon that i have received 6 messages but when i open it i only received 2 messages. What’s going on? Did you try navigating to the bottom of the screen? Sometimes messages go to bottom (some bug). The other person may have blocked you or may be he has hidden his last seen time and has his internet connection turned off in which case he isn’t receiving messages from anyone. The whatsapp messages I send to my daughter receive only 1 tick since the last two days. She is not receiving my messages and I don’t receive messages sent by her. The internet and wifi connections are on at both ends because messages sent by facebook by the same phone go through. I can send messages to all other whatsapp contacts. Kindly advise what I should do since neither of us has blocked the other. Thank you. Hello Saksham. I was wondering why when I send a message on Whatsapp to a friend, sometimes there is a delay to get that second checkmark, And sometimes there isn’t? For instance, when I send a message, I get the 2nd in like a second and other times it takes about 10 minutes? I was questioning whether it means the other person is either online using anither app or on the phone? Therefore, his phone is not sleeping? And other times, the phone could be not active when it takes 10 minutes? 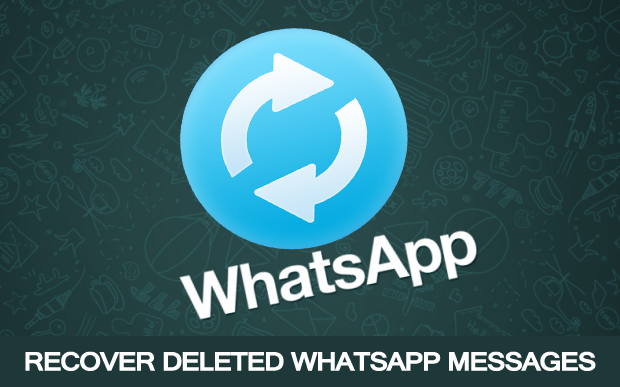 Or is this just simply because the whatsapp server can sometimes have a delay? I don’t think it’s the ladder because when I’m chatting with someone, the second checkmarks displays in an instant. Well you get to see the second tick-mark when the person on the other end receives your message (doesn’t mean he has seen it). Sometimes delays occur (you see the second tick late) when the person whom you sent the message has turned WiFi or data network off and thus he doesn’t receive your message. WhatsApp server issues are rare. My friend said she deleted whatsapp as she preferred not to use it. A couple of weks later I sent her a message via Whatsapp because next to her name in my contacts i can still see the whatsapp icon. The message i sent showed two ticks. I sent another message a couple of days later and it now shows only one tick. Last seen doesn’t show and status shows ‘no status’……………has my friend blocked me? If she had deleted the app would i still still the icon and see two ticks? If she has deleted WhatsApp you’d see the icon but not two ticks. So she has probably blocked you. I sent a couple of messages recently to a friend one tick is all thats appeared. His last seen is still appearing same as what it did with two ticks about a month ago. Has he blocked me?? Well I don’t think he has blocked you. He has probably not used WhatsApp since two months. does any body can help me ? its very Important to me. Did someone probably misuse your phone to send the contact a message and later delete it? This could be the only possible reason I suppose. Are your facing the problem only today If yes, you have nothing to worry about. 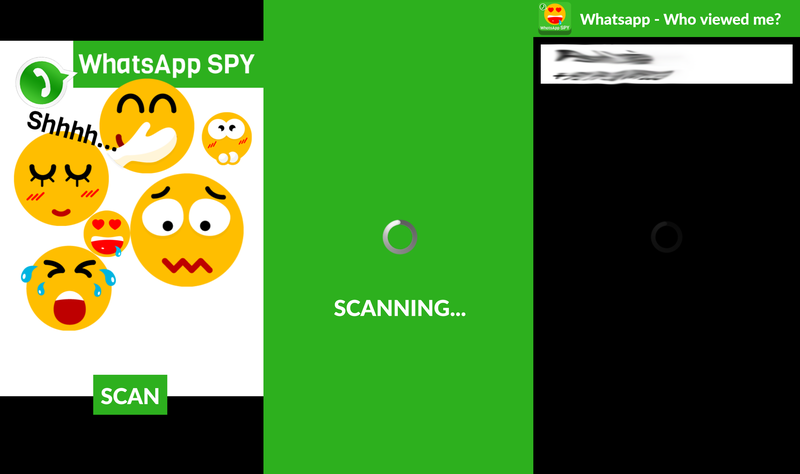 WhatsApp is facing downtime (check WhatsApp Status from Help in your phone). The problem should be solved in couple of hours. Hi Saksham, I need your help. Because I don’t really use much on whatsapp, and I’ve only been contacting with 1 friend of mine using whatsapp. She replied me, yet the last seen time is totally different and it isn’t updating at all. And I’m not being blocked, because I still can send message to her and she replies. What can I do to fix that problem? Its been few days, sometimes she reply me, yet the last seen time doesn’t change, and sometimes, it shows her online and offline right after the second I message her again. I sent a friend a message , which revealed two ticks. However, the “last seen” stamp no longer appears and his status has reverted to an old one suddenly (I say suddenly because the status I’ve been seeing up until now has been used to promote his business ) could I be blocked? I know the hints of knowing whether you’ve been blocked can be a bit ambiguous for privacy protection.. If 2 ticks are showing and the last connection time of the person is showing, does this mean for sure i havnt been blocked? hi i sent a friend a message it had one tick straight away i deleted the message would he have seen my message ? 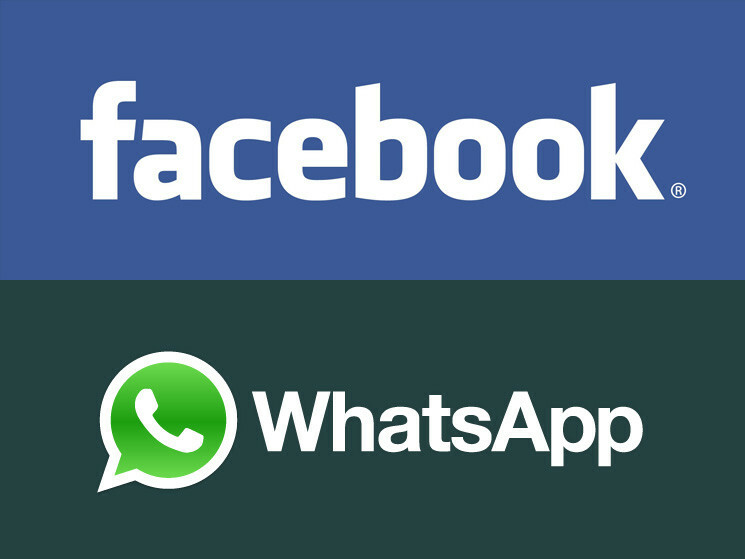 hey, saksham, i am looking for a trick to get into my friend’s whatsapp messages(kind of hacking)-just like we do in facebok by providing new phone number or new email to get a new password and to use it after 24 hours…….if you know what i am trying to say…. Is there any trick by which i can access my friend’s account…. i,ve send my friend a couple whtsap.. the sign shows me a single tick. if i delete those whtsap text.. does it still send to my friend? I would just like to know if you can help..i was wondering why i am not able to see updated profile pics on some of my watsapp contact list. ?..they have not blocked me..
Secondly a few numbers on my general phone book of galaxy s3 phone are not being shown as a watsapp number…why is this…very confusing. hi i cant see one of my friends online status but if i send her messages two ticks appear. does this mean she is getting my messages? or has she blocked me? but her online status doesnt appear on another of.my friends whatsapp either. could she just of hidden her online status? on one of my friends i cant see her online status but if i send a message it shows 2 ticks. does this mean she gets my messages or has she blocked me? other people say they cant see online/last time either. getting delivered in real time. second check mark at the time of message delivering. My boyfriend sent me a picture on my whatsapp and I opened it and I replied. A second later I was chatting with my friend but for some reason I saw the same picture that was sent by boyfriend to my friends whatsapp and it showed as if I sent it at 8am and this was 17:00. How is that possible? I sent a message and its on one tick but my internet connection is fine so could it be because of the other persons internet connection? Yeah, it’s probably because his internet connection is turned off. Sending a friend messages on whatsapp…it goes to one tick but never two???? I can still see when he’s been online….what’s going on? Might be another Whatsapp bug. I don’t think you’ve been blocked or something. Hi Saksham, I have a question, I just noticed that the last time seen on a friend status has dissapeared. I sent a couple of messages and got to ticks.! Have I been blocked? can this be solved ? Kindly answer my query….its really urgent!!! I m Nitish Vishwakarma R/o Delhi ,India. I have some queries regarding whatsapp account. 1. When I sent one message to somebody who has deleted their account permanently, then it was showing single tick mark on the right side of message. My first question : Is this mean that the person have created the account again ? or not? What could be reason for this phenomena? My second question: Is it possible that “double tick marks” appeared without account formation ? Kindly reply immediately it is really urgent !!! Well the person may have created the account again is the only possible reason I can think of right now. Well I don’t think you see two tick marks without account formation. The receiver simply doesn’t receive a message if he doesn’t have a WhatsApp account. Is it also possible that somebody else is making account from other phone? 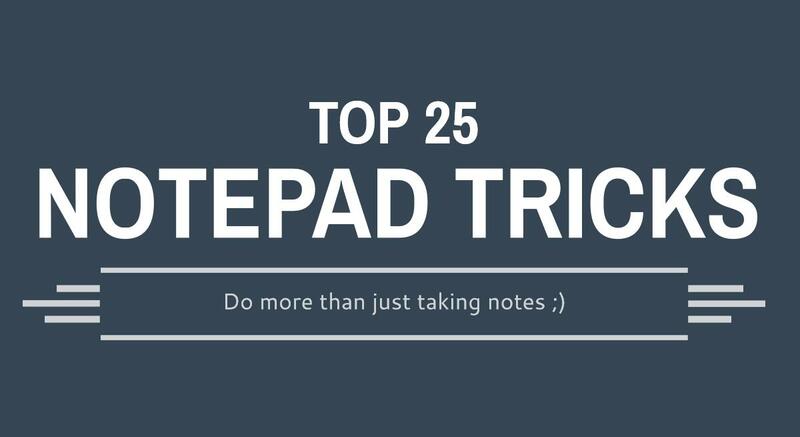 Hey very helpful blog! 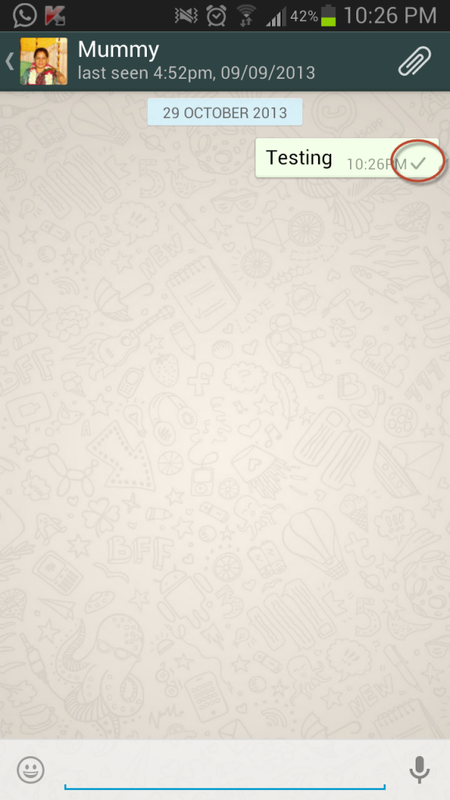 I have a question about the status message..the line that comes under the name, in the whatsapp contacts. what if it is blank? And what if it says “…no status…” also saying 0sec ago. does this mean the other perosn has blocked me? Hi there, please can you help me? I recently send a message on whatsapp that I now regret doing. He hasn’t seen the message yet so I am just wondering is it possible to delete this message although it is showing two ticks? I know he hasn’t seen it yet because I sent it after the last time he was seen on the app. Is it possible to delete this message now it has been sent to Him? Please respond. It has been puzzling me. I have always been able to see the last seen of all my friends on whatssap. I blocked a few friends within a whatsapp group…not all…including the administrator…for a few hours once but since unblocking them I can see all the “last seen at” for all except three of them. However if I message them I get two ticks and they respond. Once they are online I can see. If not I cant see their last seen. 2 whats happening? doesn’t seem like im blocked. I sent a message to a friend ‘last seen’ 7 hours earlier and it had one check mark. Then, I deleted the specific message in our chat. After I deleted it, I blocked the her .When she was online again, I unblocked her (after a few minutes). Will she still receive the message or has it been deleted since I blocked her in that time period? I am unable to know because I deleted the message so I can’t recover it and see one or two ticks. Thanks! i am only experiencing issues with one contact on whatsapp, i have sent messages and for all of them there are two ticks, but i cannot see the persons last seen time. Though, when I go onto their profile I can see that they have changed their name/status recently? Hey. I sent a message to the wrong person. Those messages has two ticks. But she has not read the messages because she has not been (online) or last seen after the messages were sent. I deleted the messages that I sent to her. Do you think its already on her phone? Notifying her on her screen? Because it has two ticks but she hasnt read it. Please respond to me as soon as possible. Nope. That IS the entire point of being blocked anyways. Once there is two ticks the person has received your message which means your not blocked. When you dont see their last seen this means they turned off their last seen in settings that way no one will know when they were last online. I can see the “last seen date and time” although from 2 days ago and I can see their status….but when I send a message I only get 1 tick mark. Even a day after the message is sent, only 1 tick mark, but last seen and status are visable. Am I blockked? I sent my boyfriend a message on whatsapp and saw two ticks then deleted the app. Can I be sure the message has been received even tho i deleted it?? O.K. when you see someone’s status as online within your chat section. You send him/her a message and you receive a single check. Couldn’t that just mean that the person is chatting to someone else and hasn’t opened your chat window to receive the text in order to get the double tick? Or does the double tick happen right away even if that person is not in your chat session because it’s been delivered to their phone? Just curious. Sure, he’ll get it… You can undo it as long as the clock icon appears. I can see last seen time and my messages that I sent only have one tick ?? I’ve got a confusing situation I have not seen online. 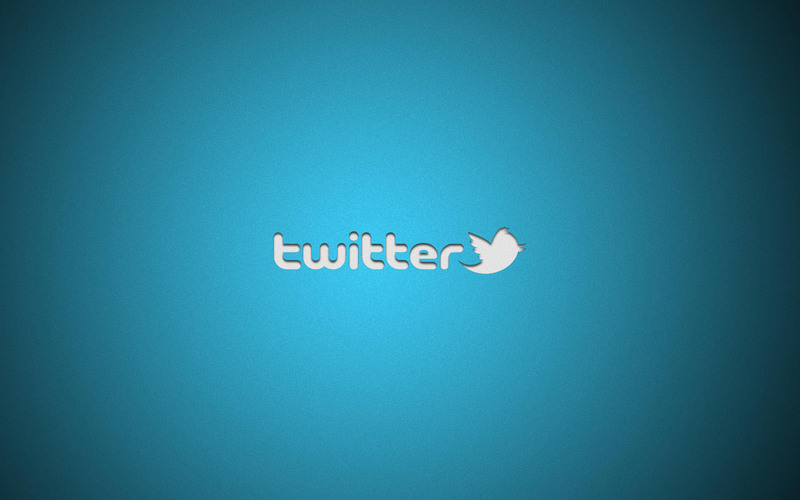 I am sending my message, and before my wife listens to it, double blue check marks appear almost instantly. I have not seen anyone else with this issue while googling for this. Any ideas? In my friend’s mobile it always shows only double ticks even after reading the message…what is the problem in it?? Mine are doing the single tick but are not doing the double tick. For example I sent a message to my friend at 11:30 am on the 11/3/2016 and it still hasn’t sent and it is now 8:51 am 12/3/2016. What is happening? Mine are doing the single tick but are not doing the double tick. For example I sent a message to my friend at 11:30 am on the 11/3/2017 and it still hasn’t sent and it is now 8:51 am 12/3/2017. What is happening? I sent a whatsapp it got one tick and after 5 to 6mins it got double. So does this mean the person saw the text from notification bar or it simply means due to their connection it got delivered a little late? How do I know if I’ve been blocked. I was getting 2 ticks and time message delivered and read but now have sent several messages and no time read or delivered. I sent message to my friend , it shows single tick but after checking in info button, it shows as read and delivered, how it is possible?